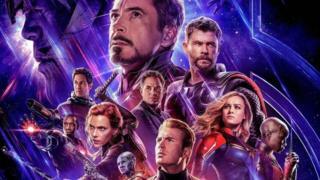 Advance sales of Avengers: Endgame movie tickets in Singapore caused cinema websites to crash on Wednesday. Vincent Wong was similarly unhappy: "No matter which browser and which platform I use, I keep getting an error message and unable to complete my transaction. Take a look at how many seats are on hold with no way to advance to [the] payment stage, and nobody responds on the customer service line." Tickets are being resold from $20 Singapore dollars (£11) all the way up to $600 Singapore dollars (£340). She was so worried that she would not be able to get tickets during the pre-sale on Wednesday that she had asked her employer for leave on 24 April - the film's Singapore release date - so that she could find a way to grab tickets. "I had all the cinema websites open in tabs on my computer overnight, and at 09:30am, I was placed 993rd in the Shaw online queue," she told the BBC. "But luckily I woke up at 3am due to being on edge, and I was able to buy the tickets from EagleWings Cinematics, a new independent cinema that opened last year." "It was more than twice the traffic compared to our last encounter of a similar nature, and thus the system moved rather slowly and stalled at times," a spokesperson told Channel News Asia. Latest data from the government agency shows that Marvel's The Avengers is the all-time highest grossing movie in Singapore, earning $12.9m Singapore dollars (£7.3m) at the box office in 2017.